Round posts with plastic cap in combination with welded mesh rolls are a very economical solution. Coating Techniques & Colors Of Euro Fence. 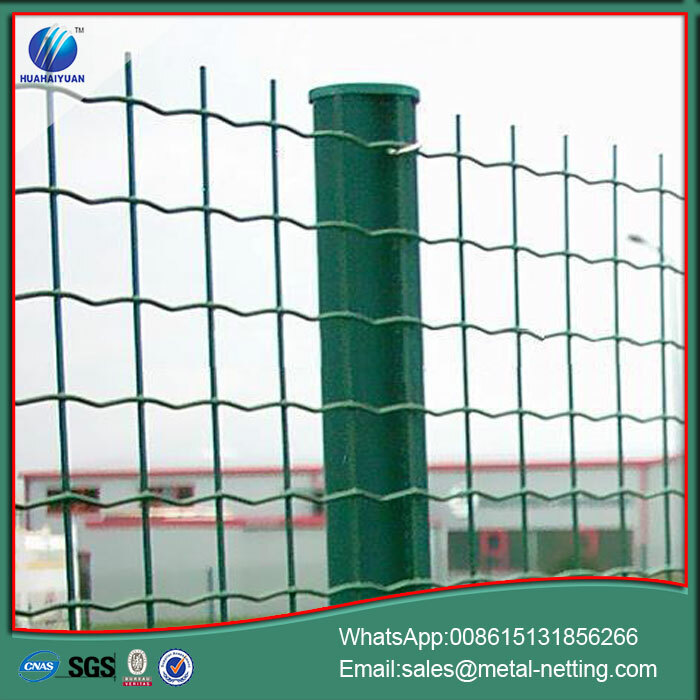 The euro fence is PVC coating adhesion after galvanized to the surface in accordance with the GB/T18226-2000 standard. The welded mesh rolls colors usually are green. Other colors can be requested. 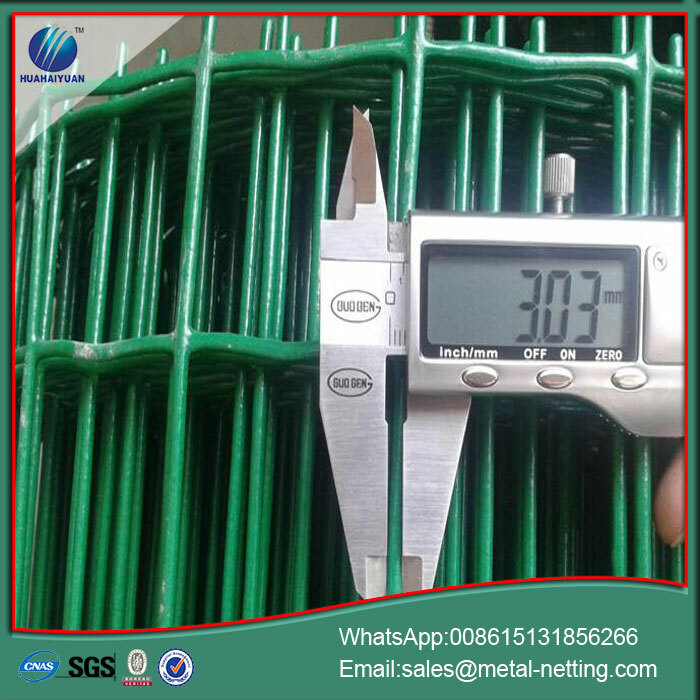 Long Life: Adoptive plastic coating technology and very robust weld made of the Welded Mesh Fencing rolls reinforce corrosion resistance. Fastness: The strong vertical wires results in a very rigid fence. 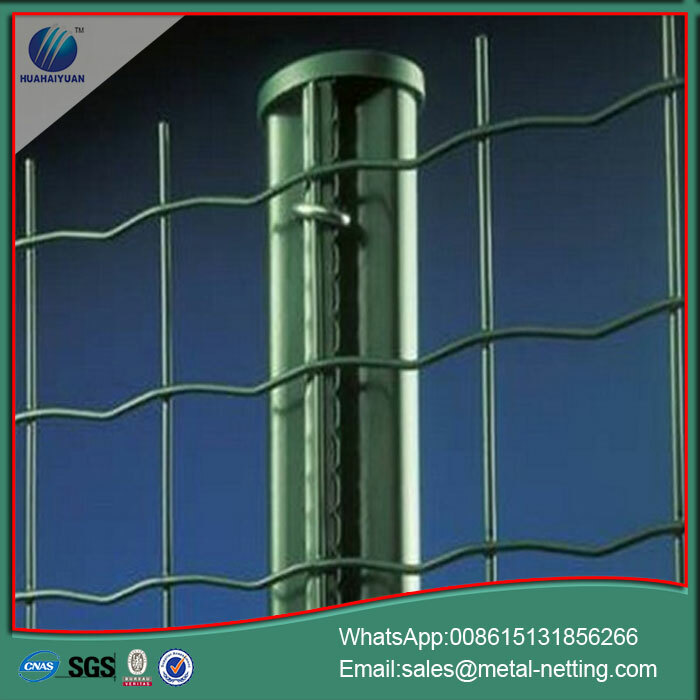 Low Price: The welded mesh fencing panels made out of iron wire provide low cost . 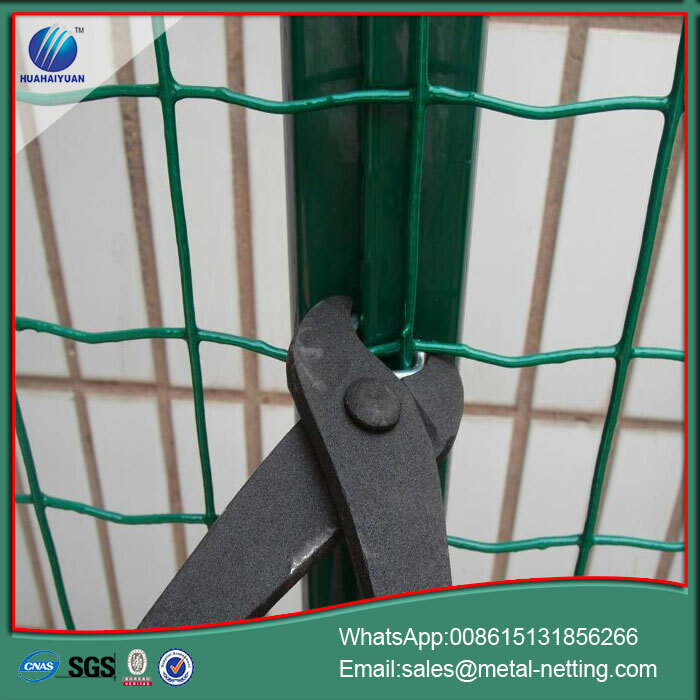 The horizontal wires have a crimp at every mesh that make fence beautiful and rigid. Tensile strength vertical wire:600-700wt/ mm². Ideal for residential buildings, parks, schools, public buildings, and pedestrian zone, private gardens and parks . Looking for ideal Galvanized Euro Fence Manufacturer & supplier ? We have a wide selection at great prices to help you get creative. All the Welded Fence Roll are quality guaranteed. 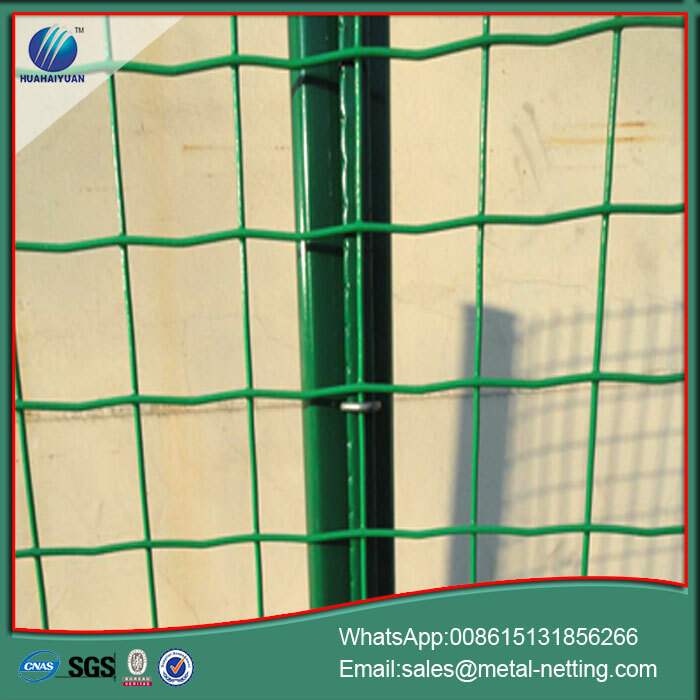 We are China Origin Factory of Mesh Roll for Fence. If you have any question, please feel free to contact us.